Keep your used brushes away from the new ones. Sort out your brushes by size and function. You can store them in a roll bag or plastic or glass jar. Keep your makeup brushes away from direct sunlight and heat as it may ruin them. Store your brushes in clean protected area. Separate the brushes that are used for liquid makeup from those that are used for powder makeup. Sometimes the beauty shops give away makeup bags or containers for free with the beauty products purchase. 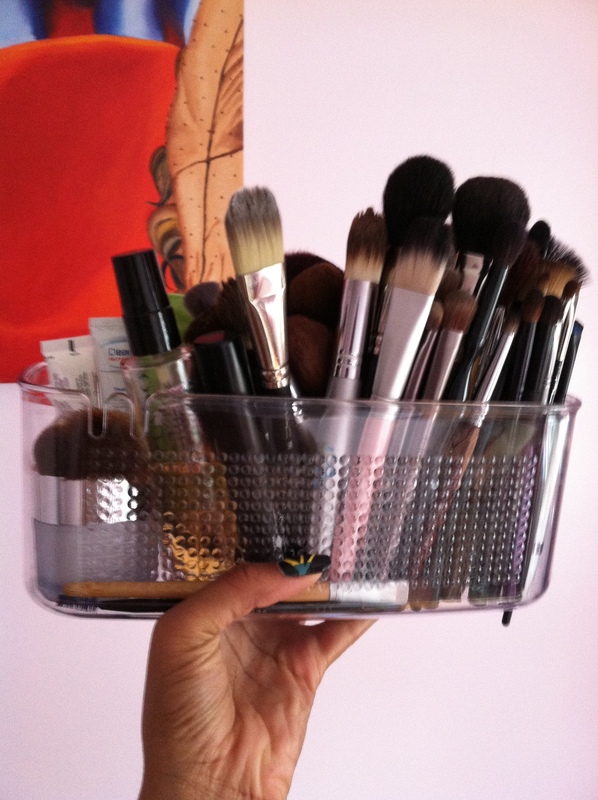 Save your money by getting one of those and using it to organize your makeup brushes.